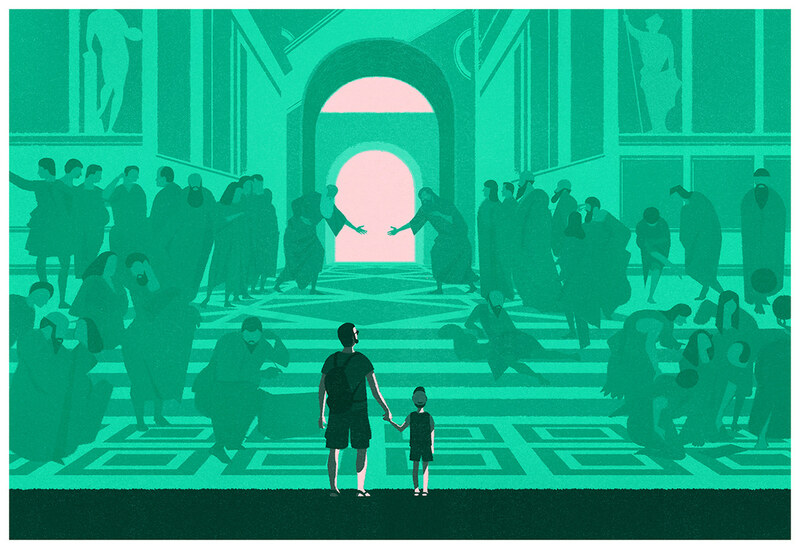 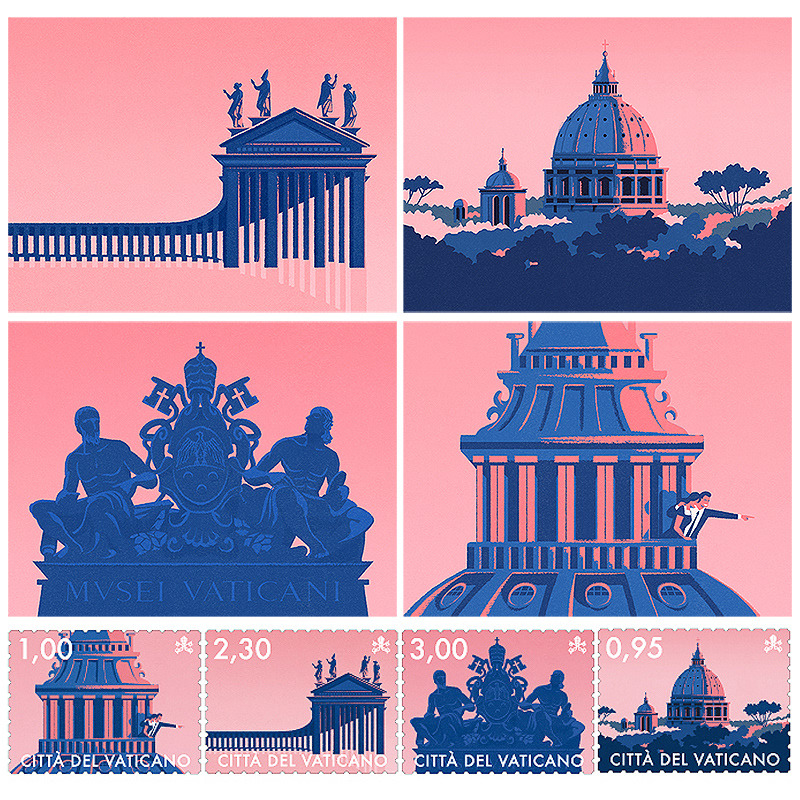 Illustrator Francesco Bongiorni was asked to illustrate a series of stamps and postcards for the Vatican’s International Year of Sustainable Tourism, and the Madrid-based artist came up with the visual gems you see below. 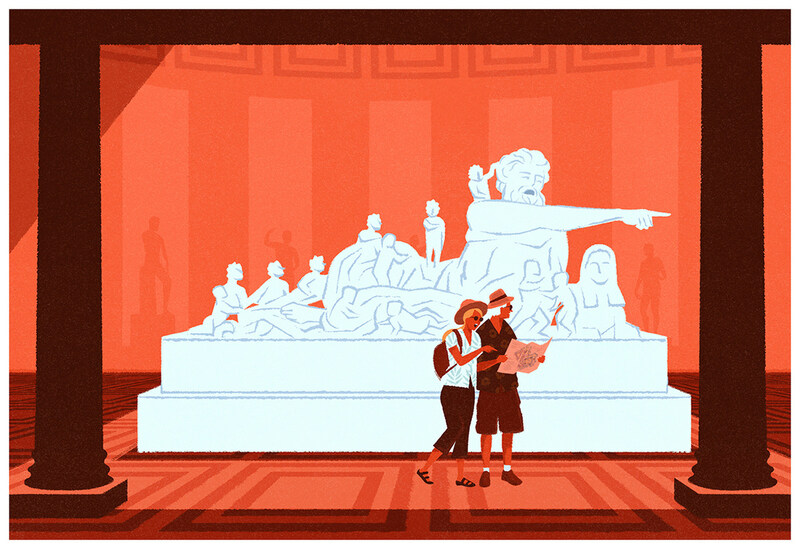 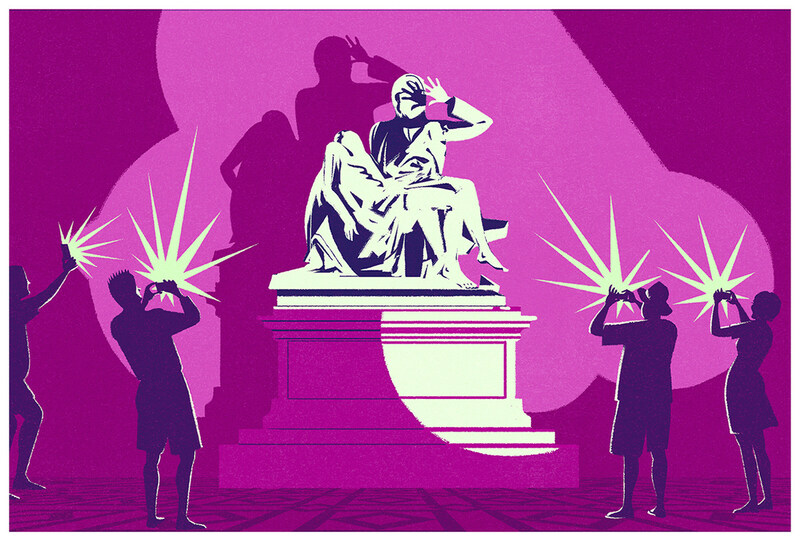 His illustrations show piece of art and visiting tourists interacting together: various statues are shown shielding their eyes from camera flashes, pointing out directions to lost tourists, or shushing those talking on their mobile phones. 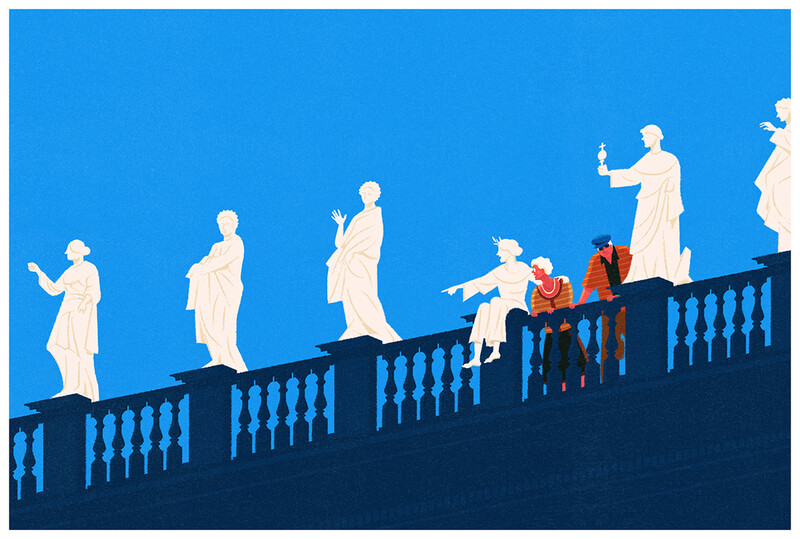 Humorous, colorful and unforgettable, these are postcards you’d want to keep for yourself. 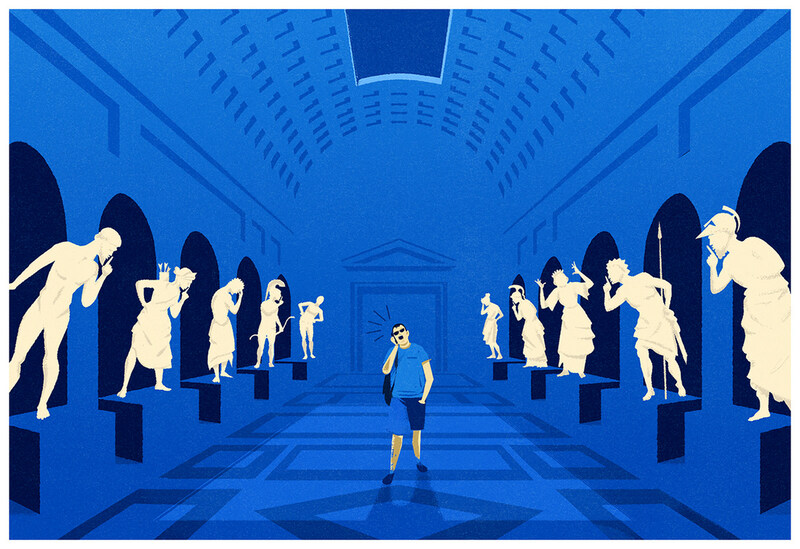 Make sure to follow him on Instagram.